Safety Gibril Wilson was one of the upset winners at Super Bowl XLII as a member of the underdog New York Giants, who beat the New England Patriots. On Friday, during the first day of free agency, Wilson pulled an even bigger upset. Wilson agreed to a staggering six-year, $39-million deal with the Oakland Raiders that includes $16 million in guarantees and will pay him $19.5 million over the first three years. The deal allowed Wilson to become the third-highest paid safety in football behind Troy Polamalu of the Pittsburgh Steelers and Bob Sanders of the Indianapolis Colts. The 26-year-old Wilson started 51 games over his four seasons with the Giants. Over the past three years, he has averaged 101 tackles a season. 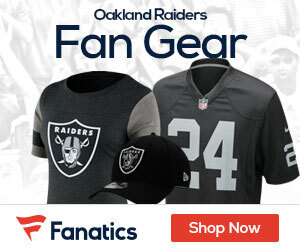 Wilson’s contract follows the seven-year, $50.5 million deal the Raiders used to re-sign defensive tackle Tommy Kelly on Thursday.